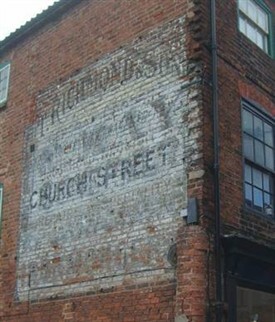 An advert for T. Tichmonds other shop (on Church Street in Southwell) is still visible high up on the side wall of the building. This 7hp Briton motor car of 1910 (AU 805) is pictured at No.4 Boar Lane, Newark-on-Trent. 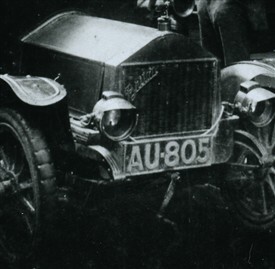 The 'AU' registration identifies the car as having been registered in Nottingham, but unfortunately the records of the 'AU' series (which would give details of ownership and date etc) do not survive. It is outside the premises of Richmonds hardware shop. 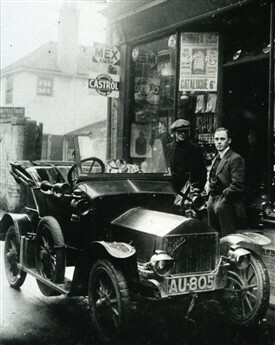 In 1915 (when it is believed this picture was taken) Richmonds were selling Mex Motor Spirit and Castrol Motor Oil as shown by signs attached to the shop window. 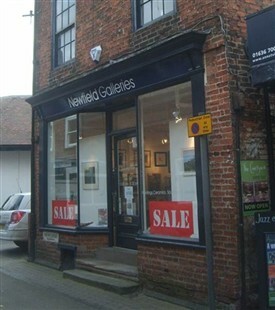 Richmonds later moved to the corner of Kirk Gate and Church Street in Newark (to the premises currently - 2014 - occupied by North Lincs. Clothing Supplies). NB The Briton Motor Co. Ltd. were based at Willenhall Road in Wolverhampton. They made cars between 1909 and 1928. This page was added by Website Administrator on 07/08/2014.